Weekly columnar format for scheduling appointments at 15-minute intervals. 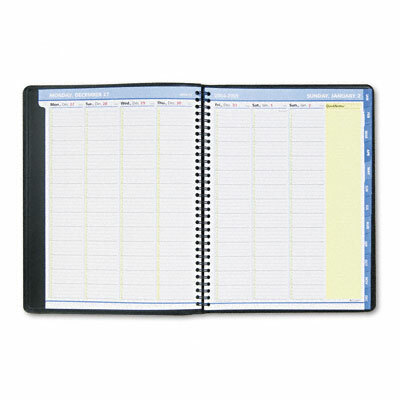 Monthly overview and eight-month calendar reference blocks for easier long-range planning. Weekly columnar format for scheduling appointments at 15-minute intervals. Monthly overview and eight-month calendar reference blocks for easier long-range planning. Yellow highlighted QuickNotes section on each spread for priority data. Telephone/address section keeps contact information at hand.